Enjoy 20% off in the Grow Gorgeous Spring Sale PLUS Receive a mini hairbrush with every order and a mini Intense Mask when you spend £50 ! Is your hair tired and in need of a boost? Give it a little TLC with our 10 minute miracle-worker that puts life back into your roots. 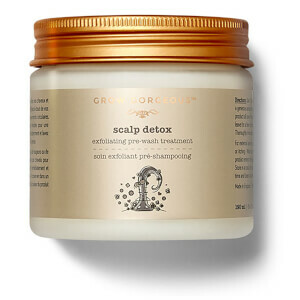 Back Into the Roots 10 Minute Stimulating Scalp Masque stimulates the scalp and lifts the roots, so your hair looks full of life and volume. Infused with an expert blend of burdock root, Hyaluronic Acid, vitamins and caffeine, the masque stimulates with the cooling sensation of menthol whilst gently lifting the hair to create a fuller and thicker appearance. Hair Type: Tired hair that needs a volume boost and that extra ‘oomph’. Biotin is like food for you hair. Feeding good vitamins into your hair will help keep it healthy and grow to its fullest potential. Hyaluronic Acid works like a super-fine jelly to fill in spaces in each strand of hair for full, luscious and hydrated locks. Menthol gives a cooling sensation and is known to activate the blood flow in the scalp. A healthy blood flow encourages the hair on our heads to grow by carrying all the good nutrients in our bodies to our heads for a beautiful head of hair. 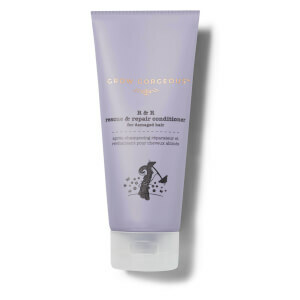 Massage a generous amount of the masque into dry hair. You can use the nozzle to directly and accurately apply this to your scalp. Leave the masque on for 10 minutes or longer if desired for an intense treatment. Afterwards, wash hair thoroughly to reveal big, bouncy hair - we recommend using the Grow Gorgeous 11-in-1 Cleansing Conditioner. Aqua (Water), PEG-8, Ethoxydiglycol, PEG-4, Parfum (Fragrance), Caffeine, Polyacrylate Crosspolymer-6, PVP, Maltodextrin, Dimethyl Isosorbide, Tocopheryl Acetate, Zinc Gluconate, Biotin, Ahnfeltia Concinna Extract, Sodium Hyaluronate Crosspolymer, Rosmarinus Officinalis (Rosemary) Leaf Oil, Menthol, Menthyl Lactate, Glycerin, Urea, Ethylhexylglycerin, Hydroxyethylcellulose, Xanthan Gum, Hexylene Glycol, Caprylyl Glycol, Dicalcium Phosphate, Pentylene Glycol, Chlorphenesin, Phenoxyethanol, Linalool, Limonene. If ordered before 9pm, delivered by courier next working day. Available on orders placed before 9pm (2pm weekends and Bank Holidays) for delivery next business day. The hair on the top of my scalp went v thin due 2 a v stressful situation. I thought there was no help when I felt able 2 actually do something about it. I searched & searched the net 4 something that actually worked & I found this in a starter kit with the intense serum, density shampoo & density conditioner. I particularly like this product as once applied it’s like u can actually feel it working but when used with the other products my hair is something I’m not ashamed of anymore. After just a few weeks every1 is commenting on how much thicker and fuller my hair is & I have high hopes for new hair growing back 2. Think it’s best 2 use a combination of Grow Gorgeous products 2 get the proper effect. V pleased. So brought this along with a few other products in total (hair growth serum intense, thickening hair scalp mask and the back to the roots) and cannot praise it enough. Did read reviews and was quite hesitant to buy them as have tried everything to make my hair better condition and longer and NOTHING has worked despite reviews saying how wonderful it is. I can honestly say everyone needs these 3 products in their life! My hair feels the most healthiest it has for about 4 years after constant bleaching for ombré. Even after having hair done at the salon I feel my hair now after using these products is the best it has felt for years! Price tag is a bit steep but SO worth it. Let’s hope it helps it grow as well as feeling absolutely amazing! So pleased I stumbled across these products! Forever using now...SO happy! This product has a great minty smell which you can feel a tingling sensation as it gets to work on your scalp. I have been using this in conjunction with the Grow Gorgeous Serum and even my fiance comented on how thicker and shinier my hair is. My hair was basically destroyed by the over use of hair extensions but I finally feel I am getting my old hair back. I’ve bern very ill with Sepsis and my hair fell out in clumps for weeks and weeks . Started using this three times per week and ithd hair loss has slowed down so much and my hair has started growing again. Wouldn’t be without this ever ! Bought the whole kit and so very disappointed. I have naturally curly hair which is colour treated so I really like to look after it. I followed all the instructions to the letter and now my recently highlighted hair is much duller and it just looks lifeless with no natural body or bounce. Obviously I cannot comment on the growth serum yet but based on the other products, I'm not expecting much. Was expecting good things from this brand but it's nothing special, just overpriced products that personally didn't do a positive thing for my hair, the opposite in fact. Would not recommend and would not purchase again. If I could get a refund I would return the lot. 10 minute miracle worker.....I think not. Again, this was another disappointment. Smelt nice, tingled nicely when on, but afterwards my hair is honestly so dull after using it. Have used better for much less. I am going through chemotherapy at the moment and had to have my hair shaved off as it was coming out in clumps. My niece recommended this product to me. It is really nice and cool on your head and it stays cool for a while after washing it off. I am using it frequently and when my chemotherapy is finished I hope that it will help my hair to grow back quicker. I will let you know ! Genuinely love using this product. It gives me so much volume at the roots which means I spend less time and effort trying to create volume by back combing and using salt spray/hair spray etc etc! Love how long the volume lift lasts too! This is by far my fav hair product. I look forward to using it every week (sometimes twice a week when I can't wait!) I just love the tingling sensation and I can't describe how clean my scalp feels afterwards, plus I've seen more volume from my roots too!